This series started with a single vehicle, converted by Captain Victor Poplavko in November 1915, and deployed on the South-Western Front. As part of the 26th platoon this vehicle was nicknamed “The Witch”. It was an improvised armored truck was based on an American Jeffery 2-ton 2×6 truck chassis. It was used as a supply and fire support vehicle, and for the recovery of damaged armored cars. The armored car proved to have excellent traction and cross-country characteristics. However, it was only partially armored, with the engine hood and radiator, front and side cab being covered. Probably the most famous photo of this vehicle, taken with its crew posing, in service with the special purpose armored car Division, South-Western Front, summer 1917 – Credits: Wikipedia. Poplavko decided to improved its recovery capabilities and added a winch with steel cables, and even a light collapsible bridge for crossing trenches. On January 27, 1916, first tests were performed by lieutenant Ustinov. Equipped with a wire-cutter at the front, the vehicle succeeded to break through four successive rows of barbed wire and destroyed a wooden wall. The wire cutter was later improved in late April 1916, and the vehicle was demonstrated to the General Staff of the 7th Army. He convinced the staff to launch a full conversion of all existing Jeffery trucks in service, and turned the tide in trench warfare. On May 10, 1916, the “Witch” was tested again in the presence of Colonel Polyansky, Chief of Engineers of the 7th Army, and other staff officers of the 2nd Army Corps. Equipped with its new devices, it overcomes 4 rows of stakes and barb wire up to 2.5 inches (6.35 cm) thick, firmly planted into the ground 0.5-0.75 m (1.5-2.5 ft) deep. The pathway created was sufficient for an assault squad to follow, and also crossed the trench. Jeffery-Poplavko on trials – Credits: Wikipedia. An enthusiastic report came from Colonel Polyansky to the 7th Army General, and Poplavko departed to Petrograd with his modified Jeffery, for more trials. According to these results, the Commission on armored cars decided, on August 8, 1916, to convert 30 Jeffery chassis at the Izhorski factory. At the end of September, the conversion was done and on the 6th of October they were paraded to members of the State and representatives of the General Staff. In accordance with the requirements, these vehicles had fully enclosed armor made of 7 mm (0.27 in) armor plates, riveted together on a steel frame. The large driving cab housed the driver and commander, the latter being given a machine-gun, fired through a porthole. Maintenance and access to the engine was possible from inside the cab. At its sides and rear, three other machine-gun ports were placed, for four Maxim Sokolov liquid-cooled MGs in all (in practice only three ports were used), operated by two machine-gunners. Various photos from around the web. The former cargo bay was fully enclosed in an armored cradle, storing spare parts, fuel and ammunition. However, it could be adapted, if necessary, to carry several infantrymen. Access was done through a right side door. A wire-cutter made of angle-steel profiles was attached to the front chassis beam and the wheels were equipped with additional extensions for driving in mud. The 32 liter engine was capable to propel the Jeffery-Poplavko up to 35 km/h (22 mph), but with the great torque necessary to overcome all obstacles. In addition, there was a double axle drive, at the front and rear, which gave an excellent turning radius. The vehicle had a crew of four, including the two machine-gunners providing fire support, and could carry up to 10 infantrymen armed with daggers and hand grenades. The Poplavko-Jeffery would tear apart barb wire and land right on the trench, allowing the infantry to jump into it and “clean” it. Portable bridges then allowed the troops to gap the trenches and the vehicles to pass through and carry on the offensive to the next defensive line. 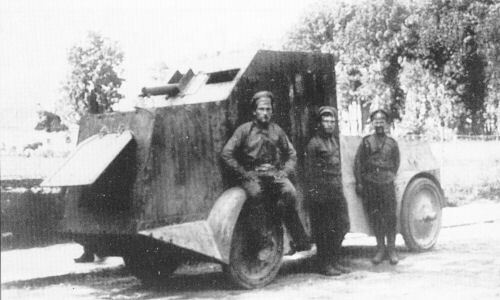 On 10 September, 1916 a special purpose armored car automotive division was created for the 30 armored Jeffery-Poplavko vehicles, with four modified to deal with with snow. Also in the unit were four support trucks, 1 mobile workshop and 9 recce motorcycles. Command was given to captain Victor Poplavko. This unit was divided into three platoons of 10 trucks each, then three units of 3 vehicles each and a commanding officer. 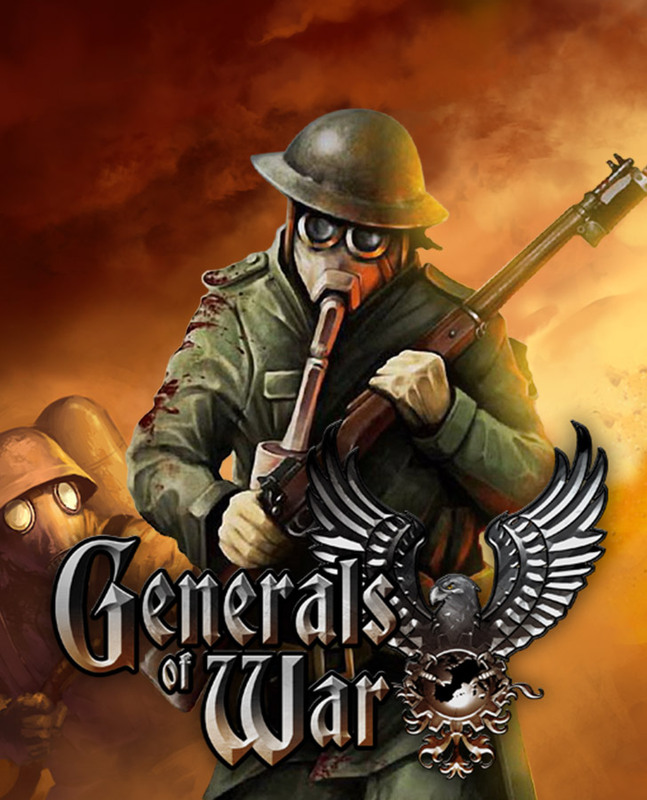 On October 16, the Division joined the South-Western Front and the 11th Army. Throughout December 1916, 15 vehicles participated in rehearsal attacks. But the general offensive was delayed and the use of the division postponed. In January 1917, however, the Russian command ordered the forming of three similar divisions for the Southwestern and Romanian fronts. For this, 90 more Jeffery chassis had to be found and converted. Preliminary work started at Izhorski on 14 February 1917, with an expected monthly delivery rate of 15 cars by March-April. However, only one was built in June, and the order was cancelled. But, by June and July 1917, the vehicles acted as conventional armored cars, helping the 17th Army Corps to cover its retreat from the German breakthrough, well helped in the “rasputitsa” with their front and rear axle drive. In October 2, 1917, it was decided that the vehicles of the special purpose division will be converted back as ordinary armored cars. After the October Revolution, the Division served with the Ukrainian Central Council, freshly independent. It was short-lived, and the Jeffery-Poplavko went to the Red Army. The vehicles quickly fell into disrepair and lack of maintenance. As a result, only a few remained operational. By May 1919, of the only 13 armored cars registered as part of the Southern Front, only one Jeffery-Poplavko survived. 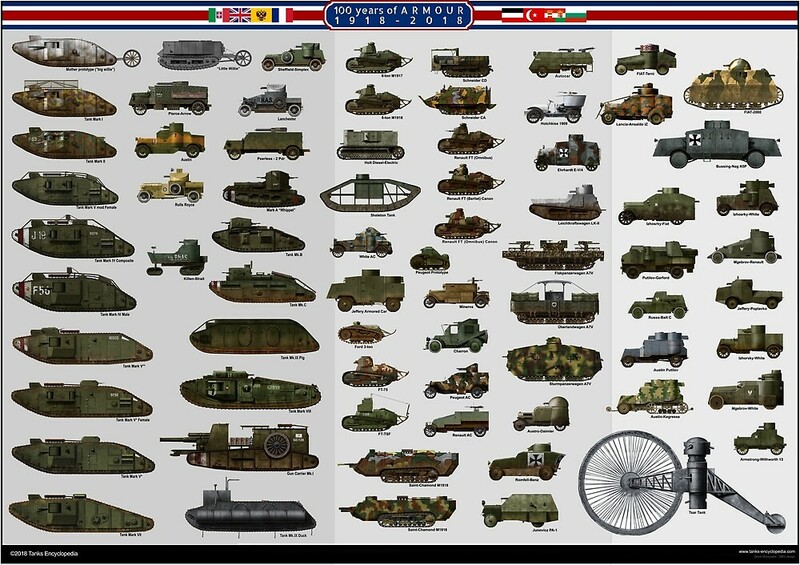 Further reports stated that over the 369 armored vehicles were enlisted in the Red Army in 27 different companies, but only 9 were of the Jeffery-Poplavko type. One of these vehicles was tested with a Sheffield-Simplex turret. By 1922, only one of these vehicles was registered in the Red Army, latter scrapped. 2-3 vehicles were captured by the “Whites Russians”. One was used by the Czechoslovak Corps, Called «Janosik», and was later recaptured by the Red Army. Earlier, five had been captured by German troops near Tarnopol in the summer of 1917, and two took part in the 1919 Berlin streets battles. 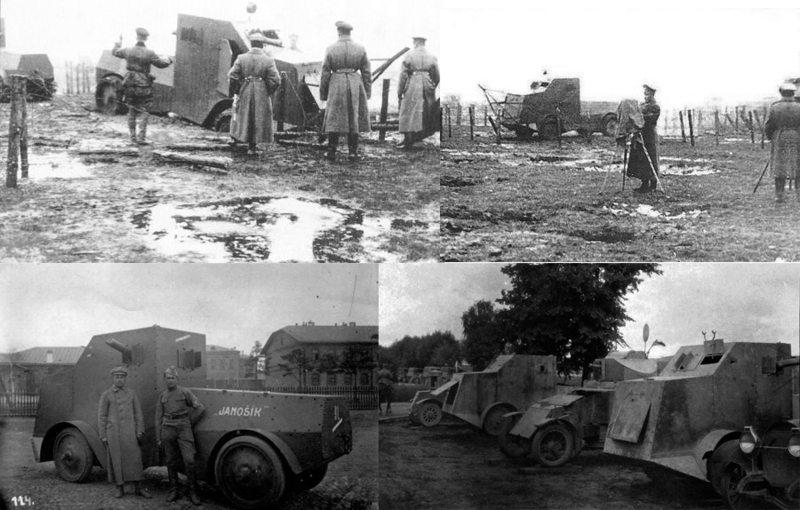 In the summer of 1919, Polish troops also captured two vehicles, sent to Warsaw for repairs. One, nicknamed «Wnuk» served in the war of 1920. Poplavko-Jeffery in Russian service, in the “special purpose division”, December 1917, equipped with its wire-cutter skid. The superstructure could hold up to four machine-guns, but usually only one or two ports were used at a time. “Janicek”, briefly operated by Czech troops, allied to the White Russians, under the command of General Janin during the Russian Civil War. 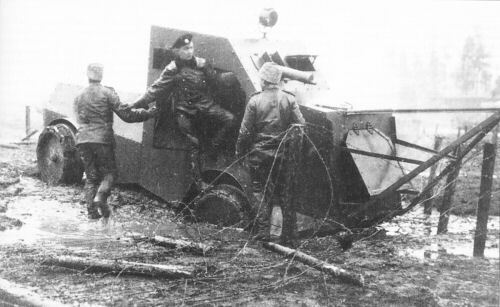 This vehicle was recaptured by the Red Army. Sorry, just can’t stand that one: on second illustration is written “Janosik” and u describe it as “Janicek”. These are two different words. “Janicek” is goral’s version of John and “Janosik” is Slovak highwayman hero.